SPECIAL DEAL - Usually 5.99, today just £3.99 - Save £2!!! 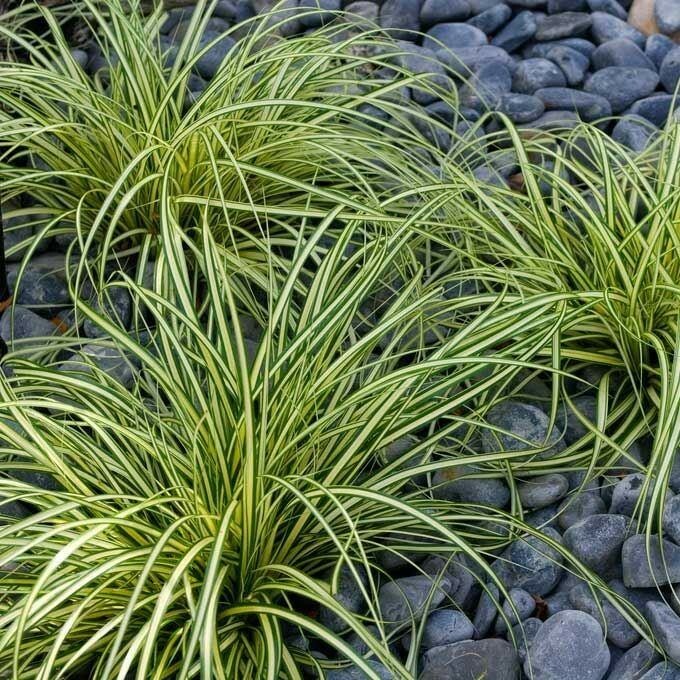 A fantastic evergreen grass, specially selected for being seasonally attractive through out the year - be it the cooler months, or equally as contemporary value for the summer period. Ideal for adding a spot of interest to patio planters, baskets and window boxes they can of course simply be planted out in the garden where they will grow to nicely sized plants for garden borders or gravel gardens. Try under planting with dwarf spring bulbs, such as crocus, for extra interest in spring time, or surround with seasonal flowering bedding plants perhaps. Excellent for mixing in with herbaceous perennials, foliage plants, flowers and meadow or prairie schemes. They will provide year round colour and contrast in the garden, and they look lovely with virtually all other plants, great for Jungle and Tropical plantings too! 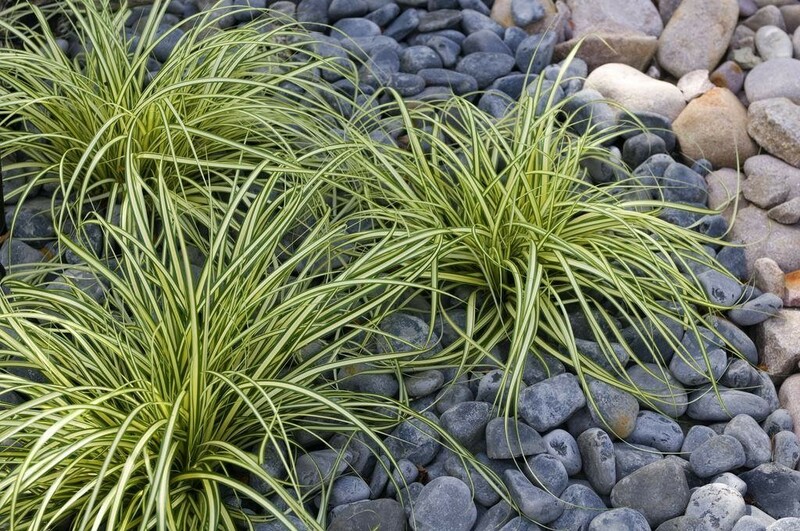 Silver Sceptre is a very elegant form of evergreen sedge with wide green leaves edged with a crisp, silvery white margin. Slightly spreading, it will also look lovely cascading at the edge of a water feature or patio planter. For sun or part shade, it is ideal in moist, well-drained soils. Strong hardy plants supplied in approx 1-2 litre containers.